Recently, You've Got MAIDS of North Palm Beach was praised for their staff's efficiency in cleaning a group of rental properties by Lou T. on Yelp. If you are a property manager and want the best maid service in North Palm Beach, your search is over! Contact Carol Lewanda today at 561.440.6243 or fill out a free estimate form here. Thank you so much for sending my diamond earrings I left at Bella Vista Ct - I appreciate getting them back and really appreciate the honesty and integrity of your crew and business, not to mention the beautifully spotless condo. Thank you - and please thank them, too. 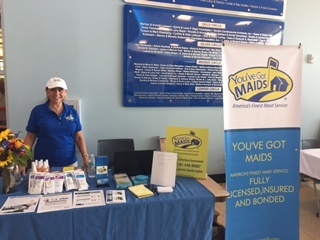 This is spectacular feedback for You've Got MAIDS TEAM NORTH PALM BEACH!